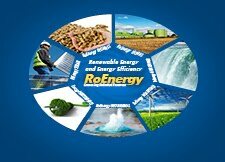 RENEXPO® BiH presents the most important platform for gathering investors, decision makers, representatives of ministries and municipal authorities, as well as business leaders in renewable energy and energy efficiency sectors. In order to promote the concept of energy efficient construction and the use of renewables, presenting challenges but also market potentials of this region, a two-day congress will bring together renowned experts, connecting local and international experts across Europe to discuss the latest development trends, projects and practical solutions in these areas. From traditional to energy-efficient construction. The importance of the implementation of projects that enable rational energy consumption in buildings and that can contribute to the improvement of energy efficiency in public objects and collective housing, which is the potential, perspective but also the commitment of the construction sector. The implementation of such projects, together with use of appropriate building materials that achieve significant financial savings, present important economic driver that opens new opportunities for job creation and launch of the entire economy. Presentation of already implemented, but also promotion of future local communities projects and all the activities in the energy sector, with the institutional networking in the Bosnia and Herzegovina market are key point of the first day of the congress.